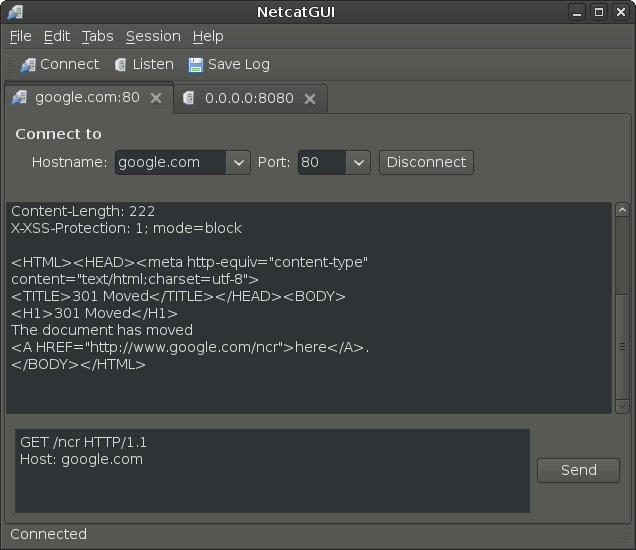 I wrote it just because i couldn’t find a consistent simple netcat like gui tool that works on all major platforms out of the box and that supports multiple connections(tabs), session log saving and fast navigation/usage using keyboard shortcuts. 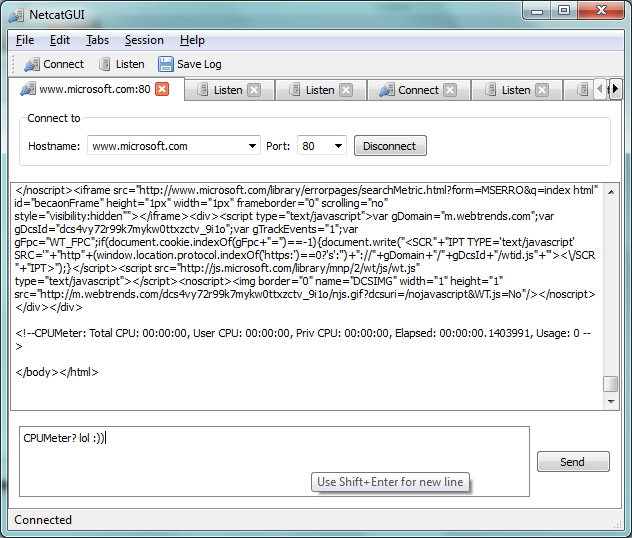 It currently supports only tcp connections, though i am planning to expand it to udp too, ssl support and many other features. 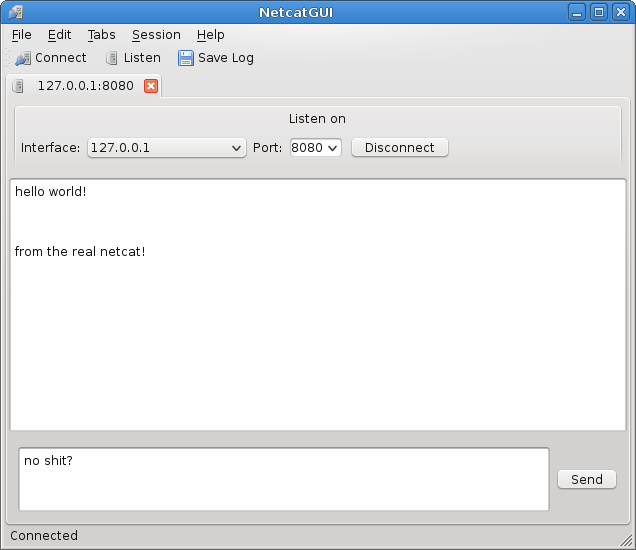 NetcatGUI is written in C++ using the Qt Application Development Framework. I built a static binary of the current version 1.0, NetcatGUI-v1.0-win-portable.zip, that includes the Qt libraries for Windows so that it is easily redistributable. For Linux, the main distribution point will remain the source, though i am considering building a static build or at least a .deb package(yes Debian, my favorite distro) for Linux too. For the first approach, i would have to statically build Qt for Linux too in the first place, since i currently have a Windows static build of Qt, which takes around 6 hours or so and now i just don’t have the time or the CPU resources(:D) at hand to do that, thus i’ll delay that to another time. In the meantime you can find build instruction for Linux/UNIX in the README file. Mac OS X should be really fine too, but since i don’t own one i can’t do much about it here, though if you want to test it and have conclusions, patches or questions feel free to e-mail me. You can find more about it on the project’s homepage on my main site.